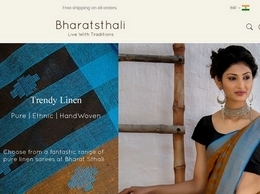 Your one-stop treasure trove to find sarees online from each part of India! Be it Gujarat’s jamdani patola, Telangana’s uppada pattu or Banaras’s Banarasi silk here is an exquisite collection of delightful craftsmanship! 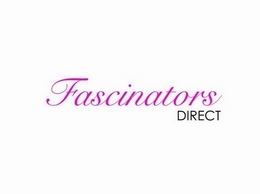 Fascinators Direct sell hair fascinators for weddings, occasions and the races with 100s beautiful fascinator styles and popular colours to choose from. 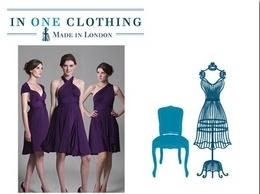 ThingsIAdore-Bridal is a London based bridal boutique. 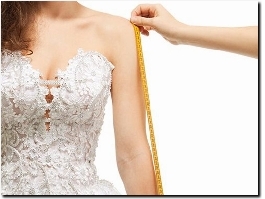 We tailor our gowns to your specific requirements and spectrum of shapes from the petite to the more voluptuous bride. Whether you're looking for 1920's elegance, 1980's glamour or anything in between, we are sure to find you the vintage dress of your dreams. 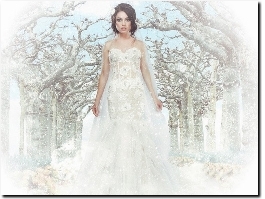 Specialists in beautiful wedding dresses, bridesmaid dresses, prom dresses, evening wear and more. Bespoke 1st Wedding Dance tuition to help make your first dance as the new Mr & Mrs that extra special! Tailored to all your needs, from music choice, ability, time frame and budget. 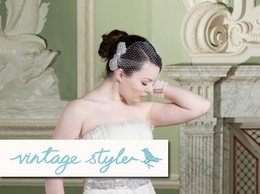 An Award Winning Bridal Boutique for Gorgeous Wedding Accessories. 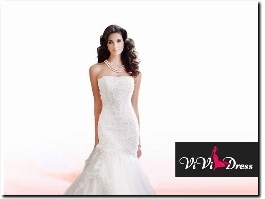 Bridal retailer, A fabulous selection in sizes 0-26W, find your perfect style in our new wedding dresses. We offer Rush Order service and Custom Alterations service! In One Clothing is known for their multiway dresses and wraps. They offer made-to-order maxi dresses in 17 colours for bridesmaids. 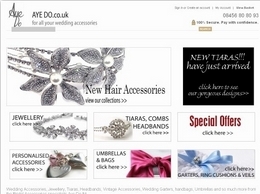 Ayedo have a stunning collection of wedding accessories to help make your perfect wedding day, with lots of unique wedding tiaras, wedding & bridal jewellery including our pretty new garters, lucky horseshoes, bridal handbags, dolly bags & personalised ring cushions that no one else has. My Evening Dress provides a wide range of bridesmaid dresses, formal evening dresses, cocktail dresses and formal gowns in a variety of Designs, Colours and Sizes. 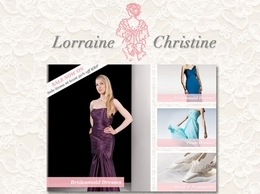 All bridesmaid dresses are dispatched from the UK. 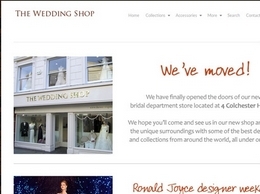 The Wedding Shop is a Colchester based bridal boutique, specialising in designer wedding dresses, bridesmaid dresses, children’s and prom dresses, mother of the bride & groom outfits and Cameron Ross mens formal wear hire. Jacques Vert is synonymous with elegant occasion wear and has been confidently dressing the discerning woman for all the events in her social calendar for over 30 years. Providing the UK's Premiere Asian Bridal Makeup Service. We also provide Certified Asian Bridal Makeup Courses. Rosie Willett Designs have a fantastic range of handmade wedding tiaras at discount prices, including floral tiaras and pearl tiaras. 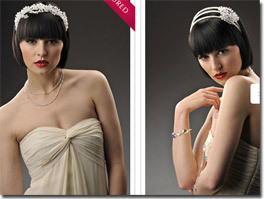 We also offer headbands, hair combs and other wedding hair accessories. 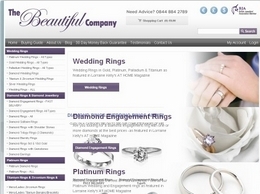 Online retail jeweller with complete ranges of wedding rings and diamond engagement rings in white gold, yellow gold, platinum and palladium all with a 30 day money back guarantee. Bespoke Tailoring like no other. Our cloths come from Italy and England. Thousands of exclusive fabric designs in light weight for summer and heavy weights for colder months. Our garments are made to fit you like a glove. 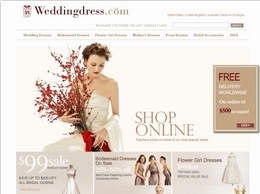 Sellmydress.com is a marketplace website connecting Brides shopping for a great deal on the perfect wedding dress with Brides selling their used or preowned wedding dress. Magic lights are one of the best wedding planner in Udaipur. Melanie Jane is a well known figure in the field of best mobile spray tanning services in Surfers Paradise and Gold Coast. Prakash Silks & Sarees is excited to introduce its newest Silk Saree online shop. Our shop is uniquely constructed for our valuable customers. Prom Dresses from FeelBridal.com, Wholesaler of Wedding Dresses, Bridesmaid Dresses, Prom Dresses offers you a best price with high quality. Buy now and you will get huge suprise. Our wedding dress is famous of its dignity and grace. the average selling price is acceptable. 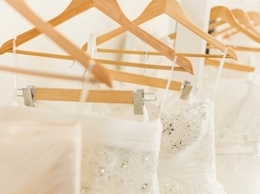 You can choose whichever you want to perfect your big day! Agnesgown.com online store offer cheap beautiful modest wedding dresses, lace wedding dresses & beach wedding dresses to fit your style, body type and fashion sense. 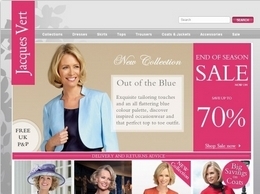 Get free shipping & easy returns on AgnesGown.com in a variety of styles!